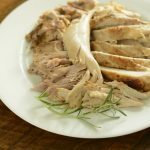 If you are cooking Thanksgiving for a small crowd, the smaller Slow Cooker Turkey is the way to go! Sometimes you want to make turkey for Thanksgiving, but not a giant turkey. 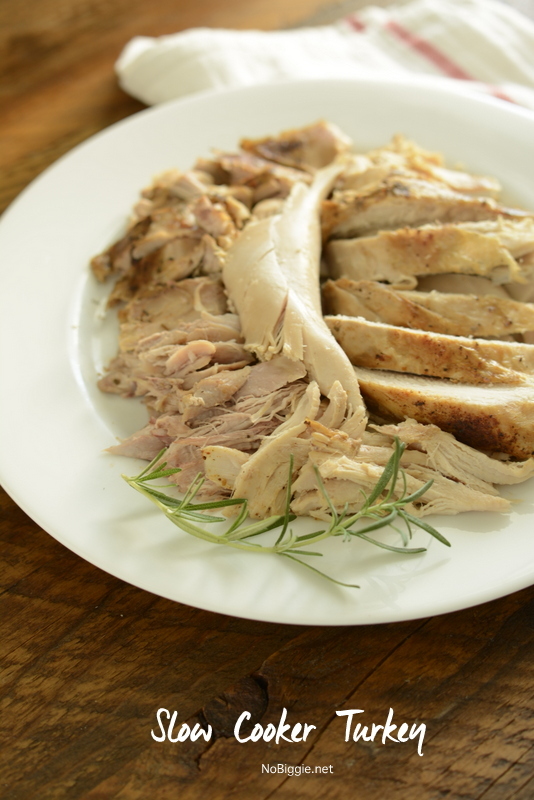 Have you ever cooked a small turkey or even a bone in turkey breast in a slow cooker (aka crock pot)?! Oh my goodness! It’s so dang good! If you ever have an off year when you are NOT cooking for a crowd, but you still want all the delicious flavors you crave of the classic Thanksgiving Dinner, this is the way to do it! 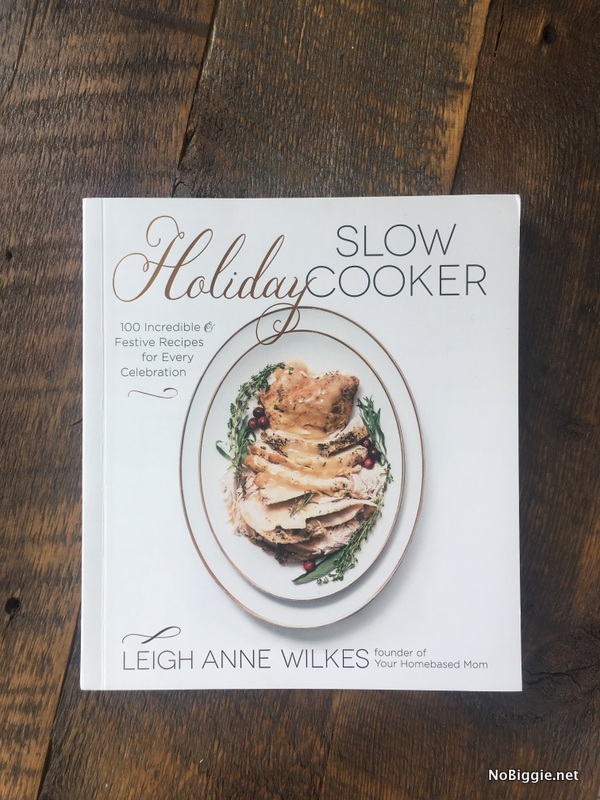 My friend LeighAnne Wilkes from Your HomeBased Mom just came out with a beautiful new cookbook: Holiday Slow Cooker. It’s awesome! Packed with slow cooker recipes for every holiday throughout the year. If you or someone you know is obsessed with using your slow cooker (raising hand high), this would make a very nice Christmas gift. Because Thanksgiving is coming up, I decided to tackle her Cover Photo recipe from the new book, and I’m so glad I did because I will definitely be making it again. The turkey was so moist (and I hate that word) and tender. You can even crisp up the skin under the broiler after it’s been cooking for hours if you’d like. 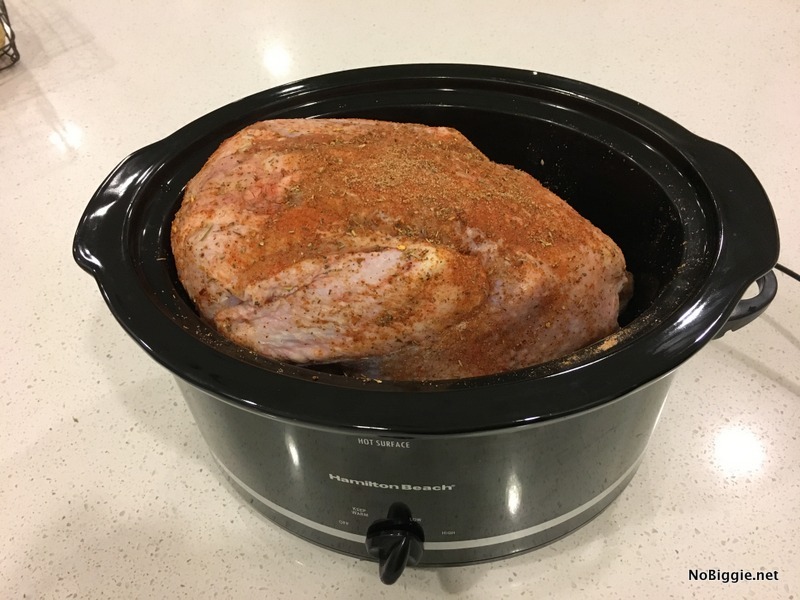 Holiday Slow Cooker – LeighAnnes new book. Mix together the butter, herbs, garlic powder, salt and pepper. Loosen the skin on the turkey breast and rub the herbed butter between the skin and the meat. 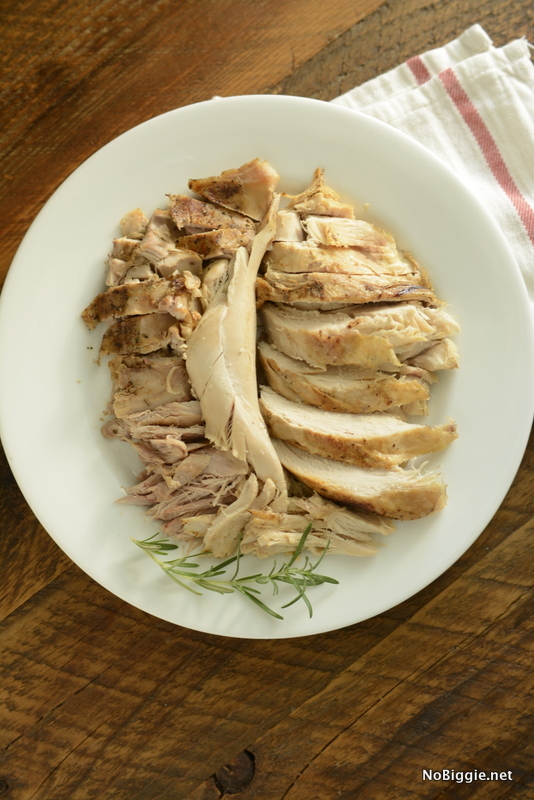 Place the turkey breast in the slow cooker and cook on low for 4 to 5 hours or until it reaches 165 F in temperature. Notes: Optional: You can finish it off by crisping up the skin by placing it under your oven broiler. Place cooked turkey on a roasting pan or on an oven she baking dish. Place under the broiler for 10 minutes or until the skin of the turkey turns golden brown. 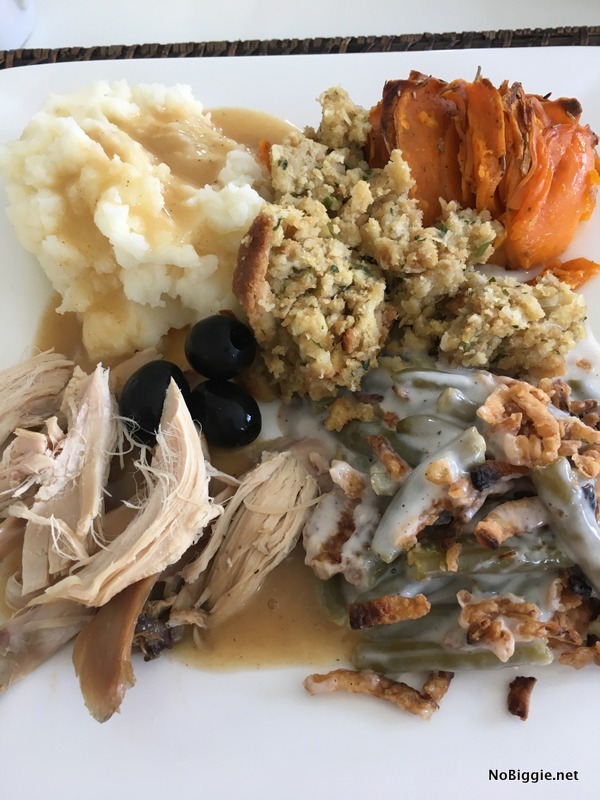 Here’s a quick snap of my plate filled with all my Thanksgiving favorites. I’d love to know…do you ever or have you ever cooked a smaller turkey for a few? If so you’ll have to give your slow cooker a try! It’s so good! There is only 3 of us for Thanksgiving, so I usually cook the smallest whole turkey I can find and roast it, using the bones for soup the next day. I have made a small turkey breast in the crock pot and it came out delicious. Would this really cook in my regular slow cooker for only 4-5 hour on LOW ? Wouldn’t the skin be soggy ? I know you suggest to crisp it on broiler. Hi Jen! Yes really! It works! You do crisp up the skin under the broiler.